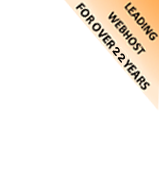 No1 Web Hosting Company Of Eastern India Since 2001. .IN Domain Registrar : First Company Of Eastern India. 8500+ Customers Trusted Us...What's Stopping You ? 90% Of Sites Of Odisha are Hosted-Booked With Us. Google Apps Authorised Partner & CentralNIC Registrar. 2500+ Sites Including 350+ KV School Sites Designed. 99.9% Server Uptime Track Record For Last 14 Years. Register a Domain Name now ! I have been very pleased with your services. We are running so many heavy Portals on your linux servers . The responses have been so great, sites are always on .I have referred you already to so many friends of mine . Thank-you again Suryanandan.net team.